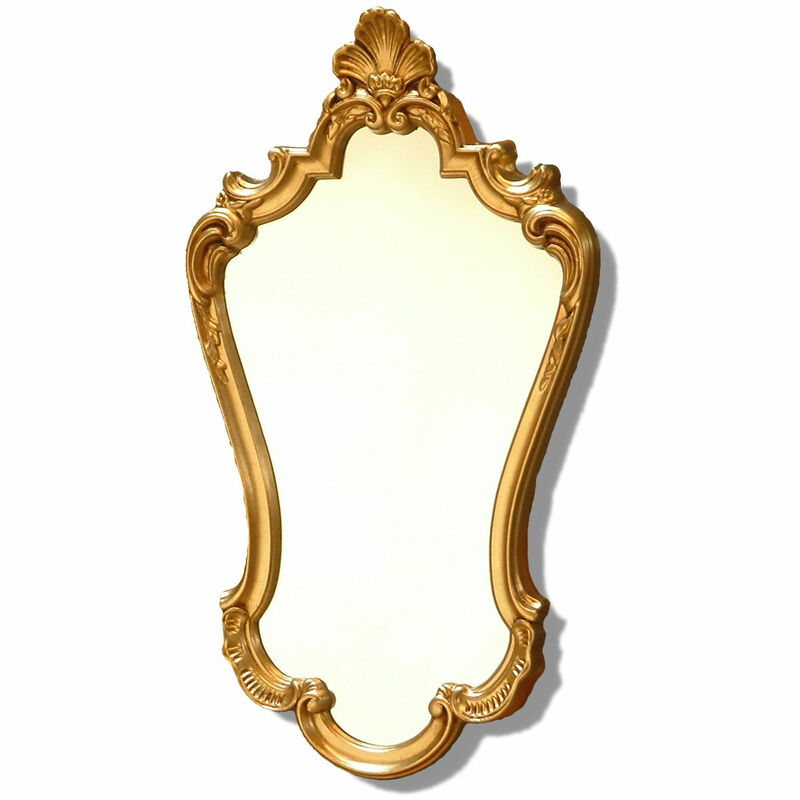 A beautiful Rococo mirror based on 18th century French rococo art with shaped glass. Decorated in swirls and acanthus leaves and topped with a crest leaf. These rococo styled mirrors created a craze amongst contemporary French upper classes through their intricate designs. Made from polyurethane.